Dolphin Energy’s Dolphin Gas Project is a unique energy initiative with regular supplies of natural gas being delivered from Qatar to customers throughout the UAE and Oman. It is a strategic project that brings together three countries – Qatar, the UAE and Oman – in the only international gas network in the region. 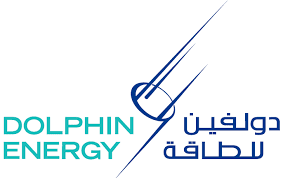 About US Dolphin Energy Limited was established in March 1999 as an initiative of the Government of Abu Dhabi. From the beginning, its founders conceived Dolphin Energy Limited as a force for international energy cooperation that would unite the vision and resources of the region with multinational capital and expertise. Today, Dolphin Energy Limited is delivering 2 billion standard cubic feet of natural gas every single day, providing a source of clean, new energy for the Southern Gulf. About US The overall investment in constructing the entire Dolphin Gas Project has made it one of the largest energy-related ventures ever undertaken in the Middle East at a cost of US$ 6.2 billion. Above all, Dolphin Energy Limited gas from Qatar will continue to support development, utilities and industries throughout the region over a 25 year period – creating wealth, growth and employment for GCC citizens for decades to come.